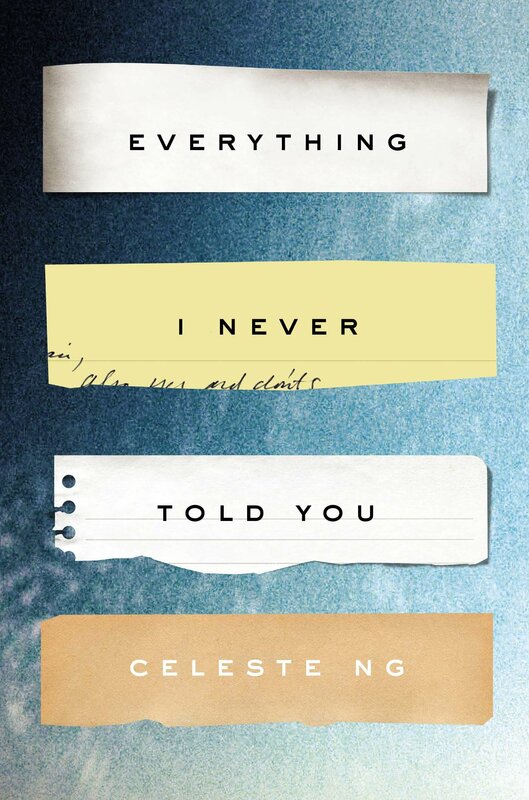 Everything I Never Told You is Celeste Ng's first novel, and it's an exceptionally accomplished one. Set in 1970s Ohio and beginning with the disappearance and death of Lydia, the teenage middle child in the mixed race Lee family, Everything I Never Told You is a delicately crafted story of the expectations and regrets of parents and children, about being different and wanting to fit in, and about fitting in and wanting to be different. The story is partly told in flashback and partly in the present during the aftermath of Lydia's death, from the points of view of each family member, including Lydia herself. Lydia, it's acknowledged by her siblings Nathan and Hannah, is their parents' favourite, and as such, has become a sort of conduit through which both her father and mother are determined to see their own regrets and mistakes put right. It's essential for James, her Chinese-American father, that she will fit in, have friends, be accepted socially in a way he never has been. Marilyn, her white mother - disowned by her own mother in turn for choosing a Chinese husband - is desperate for Lydia to fulfil her own thwarted dreams of becoming a doctor, rejecting the path of marriage and children that is still traditional in the novel's 1970s setting. I have seen Everything I Never Told You described as a literary thriller, but I wouldn't really classify it as that. It's true that Lydia was last seen before her mysterious disappearance with Jack Wolff, well-known as the local bad boy, and that Nathan is convinced this must be significant, but the actual explanation of Lydia's death is secondary to the sensitively-written exploration of the Lee family's troubled states of mind. Objects acquire deep significance, symbolising the family's unspoken resentments and anxieties: an all-American Betty Crocker Cookbook, for instance, or a broken locket. Hannah's room is full of small belongings stolen and hidden from the rest of the family, as if she - almost entirely ignored - has become the curator of their repressed concerns. Lydia's shelves are full of diaries, and yet when they are opened in the days following her death, they prove to be completely blank. Not only can the Lee family not be open with each each other, it seems that they can't even bear to be honest with themselves. Everything I Never Told You is an understated, quiet sort of novel, primarily introspective. Tensions are buried and resentment unexpressed - none of the Lees ever seem able to confront each other, and neither do they ever seem to confront anyone for the constant racism they face, at school, at work, on holiday. I found this book almost painfully sad at times - yet there is, as it draws to a conclusion, a sense of hope for the future that comes as something of a relief.